CHICAGO--(BUSINESS WIRE)-- Hyatt Place Dubai/Baniyas Square is officially open, marking the second Hyatt Place hotel in the Middle East, joining Hyatt Place Dubai/Al Rigga, and the sixth Hyatt-branded hotel in Dubai. Hyatt Place Dubai/Baniyas Square is located in Nasser Square, Dubai’s historic district, and just 12 minutes from Dubai International Airport. The new hotel is adjacent to the Dubai Metro and bus stops, and offers close proximity to Dubai’s many tourist attractions, including the Dubai Museum and Dubai Creek, as well as many of Dubai’s open-air markets. Guests can enjoy the hotel’s free shuttle service to Dubai’s leading shopping malls and the beautiful Mamzar Beach Park. Visit hyatt.com for additional details. Members of Hyatt’s loyalty program, Hyatt Gold Passport, can also earn 2,000 bonus points on eligible stays that include two nights or more (offer code: BYS2K). Both offers are valid through September 30, 2015. For more details on Hyatt Gold Passport, visit goldpassport.com. For more information and reservations, please visit www.dubaibaniyassquare.place.hyatt.com or call +971 4 404 1234. Hyatt Place Dubai/Baniyas Square is under the leadership of General Manager Vishal Mehra and Director of Sales Pranav Vohra. In his role, Mehra is directly responsible for managing the day-to-day operations of the hotel, including overseeing the hotel’s 65 associates and ensuring guests encounter the purposeful service for which Hyatt Place is known. Vohra is responsible for providing sales service and support to travellers and meeting planners frequenting the Deira area. wasl Asset Management Group, one of the largest real estate management companies in Dubai, was established by the Dubai Real Estate Corporation (DREC) in 2008 to oversee the management of its assets and grow its real estate portfolio. Through its three subsidiaries; wasl properties, wasl hospitality & leisure and dubai golf, wasl operates in various real estate, lifestyle, leisure, hospitality, and business sectors. wasl’s main objective is to strengthen Dubai’s position as the premier hub to live and work in and at the same time be the ultimate destination for tourists. For more information please visit www.wasl.ae. 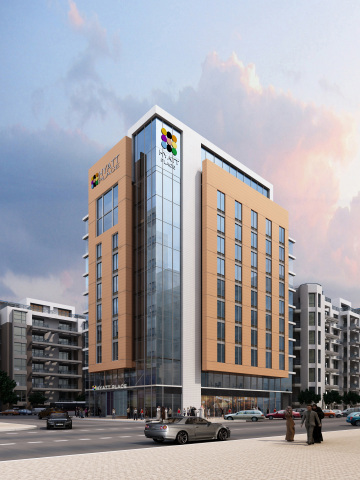 wasl hospitality & leisure manages a portfolio of several hotels and over 3,300 rooms. The Dubai-based portfolio includes five Hyatt-branded hotels, including the award-winning Grand Hyatt Dubai, Hyatt Regency Dubai, Park Hyatt Dubai, Hyatt Place Dubai/Al Rigga, and the recently opened Hyatt Regency Dubai Creek Heights; and five under Starwood Hotels and Resorts including Le Méridien Dubai, Le Méridien Mina Seyahi Beach Resort & Marina, Le Royal Méridien Beach Resort & Spa, Le Méridien Fairway and Le Royal Club in addition to Jumeirah Zabeel Saray and the Westin Dubai Beach Resort & Marina. wasl hospitality & leisure also owns the Novo Cineplex movie theatre complex located adjacent to Grand Hyatt Dubai, and acts as the Owner’s representative to oversee the management of Dusit Thani Dubai hotel.